Pursuant to Florida Statutes Title X, Chapter 119 Public Records, Section 119.07(4)(d) If the nature or volume of public records requested to be inspected or copied pursuant to this subsection is such as to require extensive use of information technology resources or *extensive clerical or supervisory assistance by personnel of the agency involved, or both, the agency may charge, in addition to the actual cost of duplication, a special service charge, which shall be reasonable and shall be based on the cost incurred for such extensive use of information technology resources or the labor cost of the personnel providing the service that is actually incurred by the agency or attributable to the agency for the clerical and supervisory assistance required, or both. *Extensive use is considered any task in excess of ½ hour of an Associate’s time to complete. The reasonable service charge assessed will be at the hourly rate established. For additional information, please see our Public Records Request Policy. Please note:Fields are not required, but sufficient contact information is needed to respond to your request. The FKAA delivers approximately 17,000,000 gallons per day of high quality drinking water to the residents of the Florida Keys. The FKAA’s primary water supply, the Biscayne Aquifer, is a superior source water meeting and exceeding all regulatory drinking water standards prior to treatment. To supplement this source the FKAA also utilizes the Floridan Aquifer, a deeper, more brackish aquifer. In emergency situations the FKAA has the capability of utilizes two seawater plants, one in Marathon and one in Stock Island, to supply additional water. • Where Does Our Water Come From? The water treatment plant is an integrated source facility staffed by state-licensed personnel. Water produced from the FKAA’s primary supply, the Biscayne Aquifer is treated through a lime softening process. 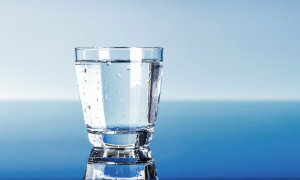 Water obtained from the Floridan Aquifer is treated through a low pressure reverse osmosis treatment system and combined with the treated Biscayne water. A disinfectant and fluoride are added prior to distribution. 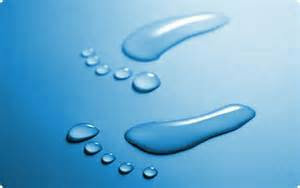 • How is Our Water Purified? The Florida Keys are comprised of a chain of islands that extend out 130 miles from the southern tip of the Florida Peninsula, culminating in the southern most point of the United States. Home to a variety of environmentally sensitive areas including a National Marine Sanctuary, Four National Wildlife Refuges, the Dry Tortugas National Park and the third largest coral reef in the world, protection of its nearshore waters is essential. In 1984 the Florida Keys, were designated an area of Critical State Concern by the state of Florida in 1984. Protection of these resources has becomes essential from both an environmental and economic standpoint for an area that now supports a permanent population of approximately 80,000 residents that nearly doubles during the winter season. Wastewater from the existing septic systems, onsite systems and cesspits was found to be introducing nutrients and harmful bacteria into the nearshore waters, significantly harming coral and other marine life. 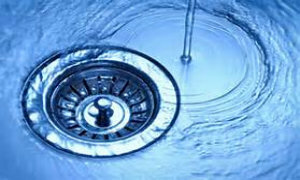 With this in mind, providing central sewer throughout the Keys was mandated by the State of Florida in 1999. 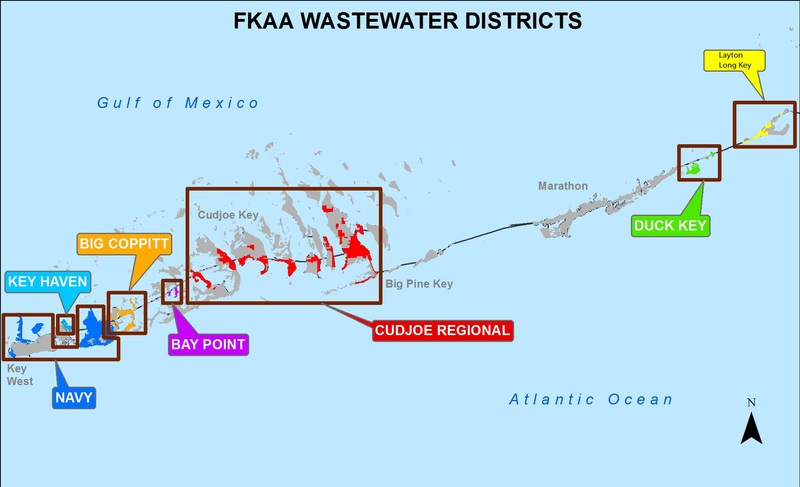 The Florida Keys Aqueduct Authority provides central wastewater services to seven regions of the Keys utilizing advanced technologies to maximize nutrient and pollutant removal from wastewater discharges. In two of these areas the effluent is further disinfected allowing the FKAA to provide valuable reclaimed water to the residents. Click the map below to explore our Interactive Wastewater Districts page. Learn more about wastewater in your area. 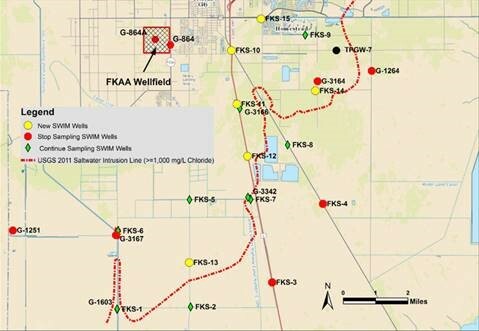 While saltwater intrusion is nothing new to South Florida, ensuring the viability of the Florida Keys Aqueduct Authority’s (FKAA) wellfield in this fluctuating environment poses many challenges. The FKAA takes a dynamic approach to monitoring and adapting their Salt Water Intrusion Monitoring program to best manage these threats. Check out the article below for an in-depth look. McThenia Andrew W., W. Kirk Martin, Jolynn Reynolds. "Managing the Threat of Salt Water Intrusion." 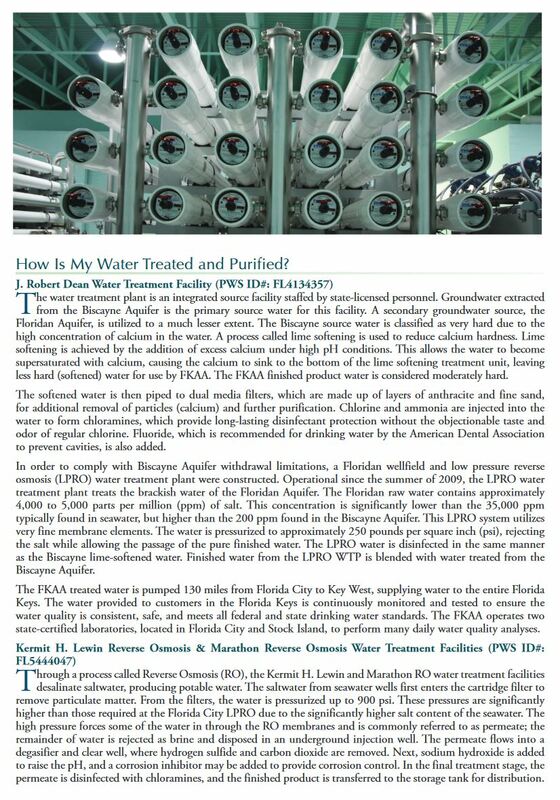 Florida Water Resources Journal 68 (2017): 32-38. Print. Florida Keys Water -- It's Worth Saving! Please do not send financial information such as credit card or banking numbers. Your account information can be managed through our secure Pay My Bill system or by contacting Customer Service at 305-296-2454. Requests for public records made in accordance with FS 119.011(1) may be made by contacting Elka Garcia at egarcia@fkaa.com.